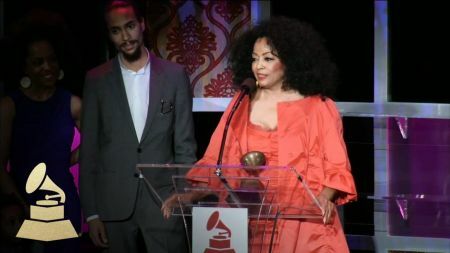 The incomparable Ms. Diana Ross recently took the stage and stole the show at the 2019 61st Annual Grammy Awards on Feb. 10 where she celebrated her 75th birthday which falls on March 26. The iconic performer was introduced by her young grandson before she went into a medley of her Motown hits. She shared her time on this Earth singing "The Best Years of Life" and rallied the crowd to unite and join hands for a performance of her 1970 hit "Reach Out and Touch (Somebody's Hand)." Now, she has announced a special night of music in July. Diana Ross has announced a performance at the Red Rocks Amphitheatre in Morrison, Colorado (Denver) on July 22. Tickets for the event go on sale on Feb. 14 at 10:00 a.m. local time with tickets opening up to the general public on Feb. 15. The show is open to all ages with the event kicking off at 7:30 p.m. Those who wish to attend are encouraged to purchase tickets early as they are expected to sell out at one of the country's most prized venues. For pricing and availability, click here for event details. The Detroit native famously began her career as the singer of The Supremes where the group amassed 12 No. 1 hit singles. She has been nominated for 12 Grammy Awards and in 2012, she received the Lifetime Achievement Award for her contributions to music. On Ross' birthday, theaters across the country will show the concert documentary "Diana Ross Live in Central Park" as part of the film "Diana Ross: Her Life, Love and Legacy." Get tickets to see Diana Ross live at Red Rocks (Tickets).